The LeTort received a new splash pool thanks to Harry E. Donson. Donson owned Donson Coin Shop in Carlisle and bequeathed five percent of his final estate to the LeTort Park. 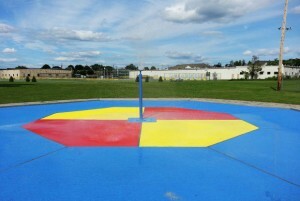 The LeTort received $88, 299.30 from the estate and the new splash pad was the first upgrade to the park. With the rest of the donation, new security cameras will be installed, the bathrooms will be improved, and the pavilions will be upgraded.